Interior Minister Sar Kheng on Friday sent CNRP President Sam Rainsy a draft of the CPP’s amendment to the Constitution and election law, which notably excluded any reference to immunity for members of what would be the new election management body, CPP lawmaker Cheam Yeap said. 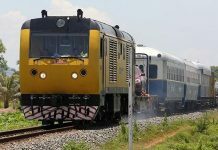 The latest draft came on the same day that the Phnom Penh Municipal Court summoned eight lawmakers-elect from the CNRP for questioning over their roles in an opposition-led protest at Freedom Park on July 15, during which dozens of security guards were beaten and injured. The CPP draft was released a day after Mr. Rainsy sidestepped the joint-party working groups established to iron out the finer details of a deal made last week that would end an opposition boycott of Parliament, choosing instead to send his own version of a new constitutional chapter to Mr. Kheng. 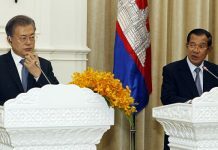 Both the CPP and CNRP drafts contain provisions that the new election body would be financially independent, but only the CNRP proposal says that members of the body, which would be comprised of four members from each party and a ninth, independent chairperson, should be granted immunity from prosecution. “The CPP working group led by His Excellency Deputy Prime Minister Sar Kheng, with roughly 30 legal experts, decided not to agree to the granting of immunity for the member of the National Assembly, [who would be part of the new election body],” Mr. Yeap said by telephone. “Our legal experts had thoroughly studied all the existing laws, international laws and common laws, and we found that there are only two categories of immunity that exist: Firstly, immunity granted for legislative bodies—which means Parliament or the Senate—and secondly, there is diplomatic immunity, which is granted just for ambassadors. “Therefore, the CPP cannot accept and agree with the request to grant immunity for the members of the National Election Committee based on the principle of local and international laws,” Mr. Yeap added. Mr. Rainsy said on Thursday that he was hoping he and his party’s 54 other lawmakers-elect could officially swear in to the National Assembly next week. Upon the release of the two drafts, a working group on making amendments to the Constitution and election law held talks on Friday afternoon. Pung Chhiv Kek, the president of rights group Licadho, was this week selected by both parties to be the ninth, neutral member of the new body. One of the three conditions she said were crucial to her accepting the post was that members would have immunity. Ms. Chhiv Kek did not respond to requests for comment on Friday. 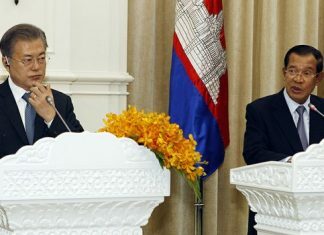 Koul Panha, a member of the Electoral Reform Alliance and executive director of the Committee for Free and Fair Elections in Cambodia, said immunity would ensure that electoral officials could work without fear of intimidation. “I think in some countries like Thailand, they give power to the chief of their version of the NEC…. They have the power to ensure the immunity of their members,” he said. The Electoral Reform Alliance had recommended the new body be composed of entirely independent members. It is not yet known who from each party will fill the other eight positions, but Friday’s court summonses call into question the issue of immunity for the politicians, who have yet to formally take up their seats. Lawmaker-elect Mu Sochua, who was detained in Prey Sar Prison’s Correctional Center 2 for a week following her arrest, said on Friday that her lawyer has been refused access to her case file. “Now I am summoned on the 11th, but how can my lawyer defend me without my files…? I would go to court, because I think they are trying to follow procedures, but they violated procedures by detaining me, charging me, as a Member of Parliament. However, I will play the game all the way,” Ms. Sochua said.